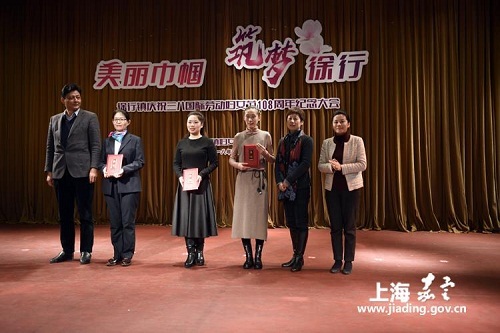 Xuhang town in Jiading district of Shanghai recently held a meeting to commemorate International Women's Day that falls on March 8 every year. It was attended by more than 300 female representatives. During the meeting, officials acclaimed local female residents' contribution to the town's development over the past year and hoped that they will continue to be involved this year. Moreover, a center to help local residents protect their rights was inaugurated. A team to promote the spirit of the 19th CPC National Congress among female citizens was also established, in hopes of further uniting the force of women. After the meeting, a lecture was given by Shu Xin, a member at the China Marital Family Work Association, to teach the residents the skills of maintaining a happy and harmonious family. 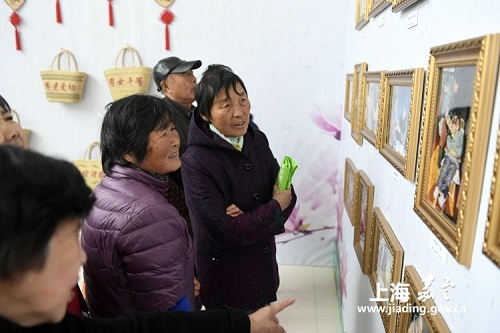 An exhibition displaying local model families and a charity bazaar were launched alongside the meeting.